This is the first in a performance series that explores acoustics of Detroit area spaces, playing unconventional music through multi-channel speaker systems. The concert at Trinosophes will be quadraphonic. This will be a continuation of Ben Miller’s research performing “Abandoned Concerts” for no one in various abandoned buildings. Earlier concerts this year: Eastown Theater, Packard Land, Grande Ballroom. Ben miller/degeneration creates a sonic tapestry that defies standard guitar playing. Miller produces a dense multiphonic soundscape by outputting several pickups through separate FX chains. With the addition of SK1 8-bit sampling, transistor radio, and tapes, it is difficult to discern where any one sound originates or where it is heading. This is part 2 of Monique Avakian‘s extended interview with Brian Drye, founder of the Ibeam Brooklyn. Part 1 is published here. Brian Drye, you’ve been running Ibeam since 2008. What’s challenging? What’s inspiring? Challenging is the day to day boring stuff that no one would notice, like taking out the garbage, making sure the rent is paid and the lights stay on. It’s not that any one of the tasks is difficult, but when you put it all together, it can sometimes be overwhelming and other times pretty uneventful. It’s inspiring to see artists forming ensembles and working on their craft at Ibeam. It inspires me to keep working and search for my own voice as a composer, bandleader and instrumentalist. What prompted you to start a creative music space in the first place? I was looking for a place to teach lessons. It was as simple as that. I never intended to open a creative music space originally but that’s what it ended up becoming. Have you achieved your original goals? 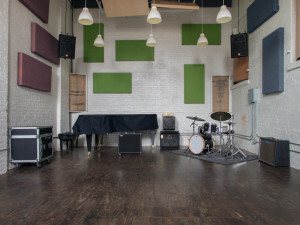 Yes – My original goal was to make the space functional for musicians and teachers as a place to work and create music comfortably and without distractions. It is a unique space, and I’ve worked hard to make it work and keep the bills paid and the space open with top level gear that is maintained. Beyond that I never had a grand plan, so now that the space is working and operational, I can look for the next goal and see what the space can achieve. Would you describe Ibeam as a mirror, fuel, a magnet or unified field? (Please elaborate). It’s all of those things in different capacities at different moments. There is no perfect space and Ibeam allows for a certain type of interaction between artists that is different than a club or a concert hall. It’s a mirror of the scene of creative musicians, but of course it’s not complete. But looking through the archives, it’s an amazing snapshot of artists, established and up and coming that are working in NYC. All of that fuels the scene and is a cog in the wheel of other DIY spaces and venues across the city. It’s a magnet for traveling groups who might find it difficult to book a gig in a venue without knowing the owner and hanging out all the time. I’m particularly interested in how you are organized – is Ibeam a cooperative? A DIY group? A bee-hive? Some sort of syndicate? What are the advantages and disadvantages of your organizational model? Ibeam is currently a for-profit business. Although the profit is tiny, it operates as such. It’s also a collective in that each member of Ibeam contributes to the space in exchange for using the space for rehearsals, concerts and teaching. The advantage of having one owner is that I get to make the decisions quickly when things need to happen. It’s helpful to not have to have a committee for every little decision that needs to be made. That being said, having a committee would be really helpful in creating a larger vision for the space. It’s too much for me to run it on my own and continue developing the vision. I would need to turn over the day to day operations to someone else and focus on the vision of the space. The members are really helpful, however, in bringing great work to Ibeam, great concerts and keeping a level of professionalism to the space that would only be possible with such a great pool of musicians. That is a unique structure made possible by the amazing pool of talent and unique artists in Brooklyn. It seems really important for the larger culture to start to examine not only Ibeam, but other successful collaborative entrepreneurial models as well. What other groups/leaders on the scene should we be aware of, and how do you work together? Ohad Talmor from Seeds is extremely dedicated to having an outlet for creative music. Occasionally we meet and discuss challenges and ideas for how to improve. He is currently partnering with the Jazz Gallery as they are mentoring him. I believe that there may be a future for Ibeam as well to partner with a larger organization that can help provide resources to keep it a vibrant space that lives on and grows in vision and scope. Are there historical or international models of social/economic affiliation that influenced the founding/evolution of Ibeam? Well, that’s funny – because one of my original thoughts when it came to having concerts was that I know how hard it is to get a gig in NY. At least it was really hard for me starting out, and I thought Ibeam would be a great place for young musicians to book a show. There are so few places to perform these days for creative music, and it seems that since I moved here in 1997 that the number of venues that would even allow this type of music are diminishing all the time. And the function of this music is often suited for a concert environment where the audience comes to listen without distraction. 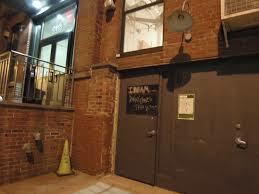 Certainly John Zorn’s club, The Stone, is a major influence on Ibeam as a space dedicated solely to music. Brooklyn has become, and will be for a long time I believe, the area most closely associated with cutting edge creative music. I’m not an expert on those trends, but I know that most nights of the week I’m performing in Brooklyn and very rarely in Manhattan. In addition to high levels of independence and motivation, I observe that many musicians have a well-developed sense of empathy and firm sets of social skills. Do you think musicians have something special to offer the rest of society in terms of social and economic leadership? I guess I can agree with that. All musicians have an amazing amount of grit and discipline that is required just to play an instrument, let alone be a bandleader or compose their own music. Jazz is an especially social music so musicians are forced to interact in order to learn about their craft, observe and communicate with artists. Music is still and always will be a social art since you need an audience to authenticate the work, and it has to happen in real time. I’m attracted to musicians who spend less time complaining and more time reaching for solutions to the issues of creating their art and producing it for an audience. iBeam is an answer to that in a way – instead of complaining about less venues, the musicians get together and just create one. Some people are aware of these radically shifting times for musicians; others are clueless. How can the general public better care for and support musicians? How can we work together to raise an awareness that translates into concrete action? Hmmm…that’s a great question. I think the simple answer to that for me is education. And it has to start at a young age and has to teach young people about the value of music in society and the value of musicians in society. This means putting working musicians in front of children and teachers all the time and turning students on at a young age to music that is dynamic, handmade, risky and challenging while still being entertaining and fun! What’s the next step for Ibeam and/or the jazz scene as a whole? What developments do you see unfolding into the future? The next step is to tap the resources of other great organizations that present creative challenging music such as Roulette and the Issue Project Room. I also see an opportunity for more engaging musician residencies where artists can present their work for several performances in a row. 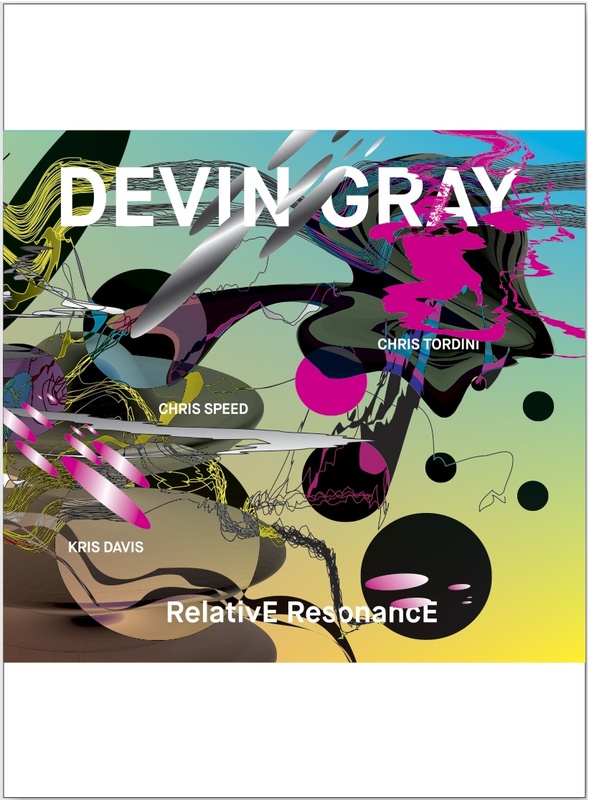 Album RelativE ResonancE (Skirl Records, 2015, DVD-Size Digipak, recorded May 25, 2014 at Tedesco Studios in Paramus, NJ) by American jazz drummer Devin Gray is a perfect piece of a contemporary / free / avant-garde jazz. “The New York Times” wrote about it such words: “Relative Resonance” is the second album by the drummer and composer Devin Gray, one of many younger experimentalists who have taken Mr. Threadgill’s example to heart. Due out on Skirl on Tuesday, it’s a batch of original tunes custom-made for a band with Chris Speed on tenor saxophone and clarinet, Kris Davis on piano and Chris Tordini on bass. Mr. Gray has a knack for making his formal convolutions feel blunt and inevitable, and his partners let the music breathe. Source: Sounds Of A Tired City. Olivia Block creates electroacoustic sound compositions for performance, recordings, installations, cinema, orchestra and chamber music concerts. She draws upon a wide array of techniques and aural textures, often combines field recordings, chamber instruments and electronic textures, creating mysterious and vivid electroacoustic sound pieces. In addition to her compositions for solo recordings and performances, she creates multimedia works for sound and video, and also writes scores for large ensemble, string quartet, and orchestra. Between 9-16 October, Olivia is doing an artist residency at Elektronmusikstudion (EMS) in Stockholm, and during her visit she will also perform at Fylkingen on 16 October as part of ROOM40 Openframe. For this reason we have decided to introduce you to the wonderful and multifaceted world of Olivia Block. 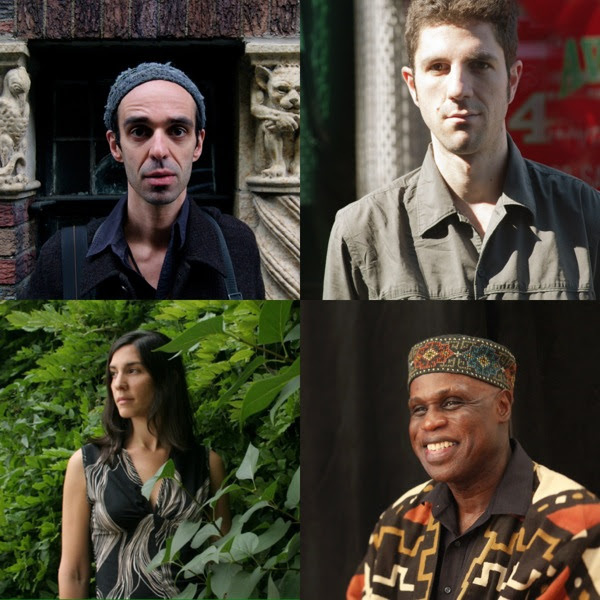 On Nov 22, 2015 at Roulette (Brooklyn), Anthony Braxton‘s Tri-Centric, in partnership with Nobel laureate Dr.Torsten Wiesel, will present its third Tri-Centric Orchestra Commissioning Series, premiering works for creative orchestra by composers Michael Attias, Dan Blake, Joseph Daley and Jessica Pavone, conducted by Taylor Ho Bynum. Previously, the Tri-Centric Orchestra has premiered works by Anthony Braxton, Taylor Ho Bynum, Jason Kao Hwang, Ingrid Laubrock, Nicole Mitchell, Kamala Sankaram and Mark Taylor. Tri-Centric Orchestra Commissioning Series, now in its third year, was created to offer creative artists the opportunity to create ambitious new musical works, following Braxton’s tradition of innovative and uncompromising musical exploration. This year, the Commissioning Series has the generous support of Dr.Torsten Wiesel, 1981 Nobel laureate in Physiology or Medicine, a global human rights advocate and an ardent supporter of the arts.